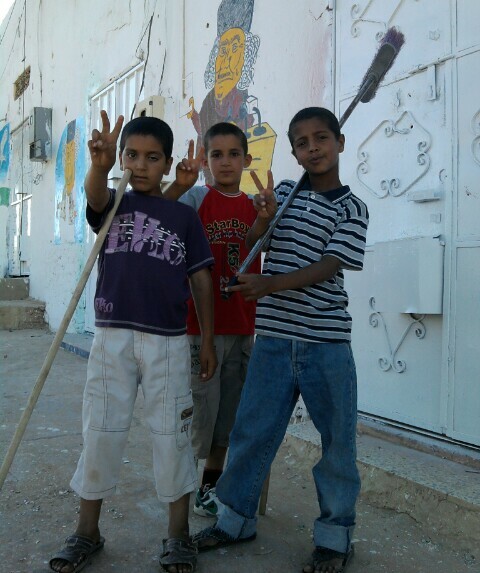 James Wheeler @WheelerTweets continues with his great messages and photos from on the ground in the Western Mountain area of Libya known as Nafusa. 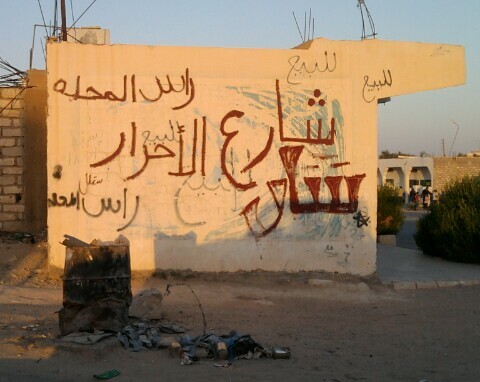 These photos were taken a few days ago in Zintan. 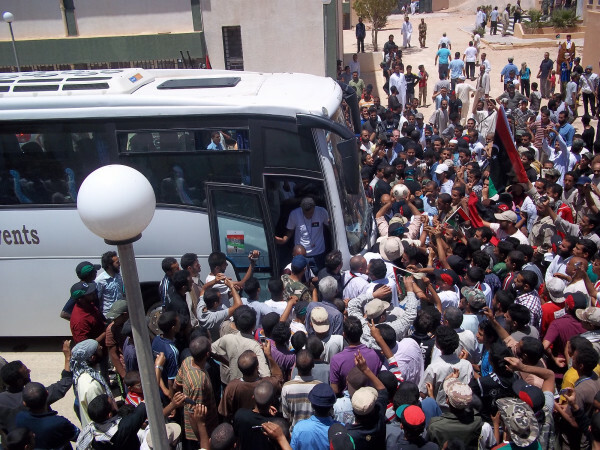 Defected Libyan football (soccer) team getting off bus for their visit to Zintan. Crowd goes wild! 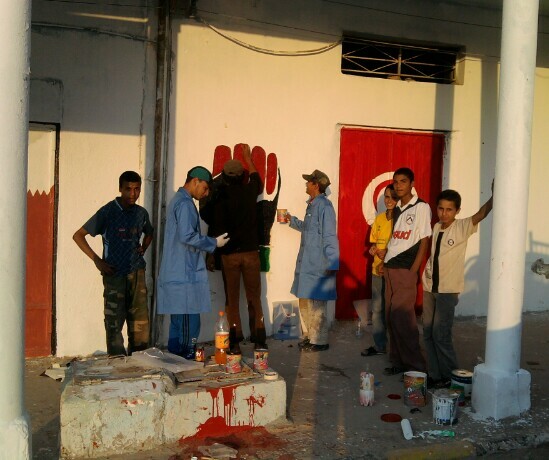 Volunteer painters wrapping up their work for the day in the center of Zintan. 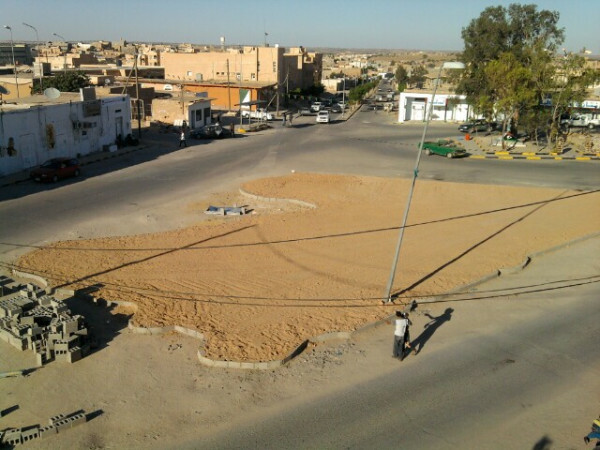 Map of Libya underconstruction in the center of town. This is patriotism! 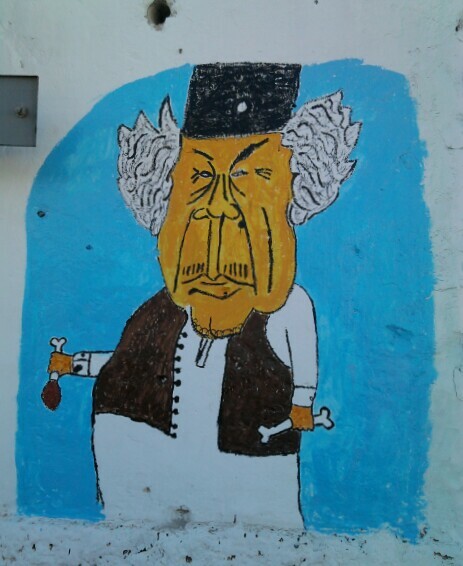 New addition to the beloved murals cropping up in the center of town. 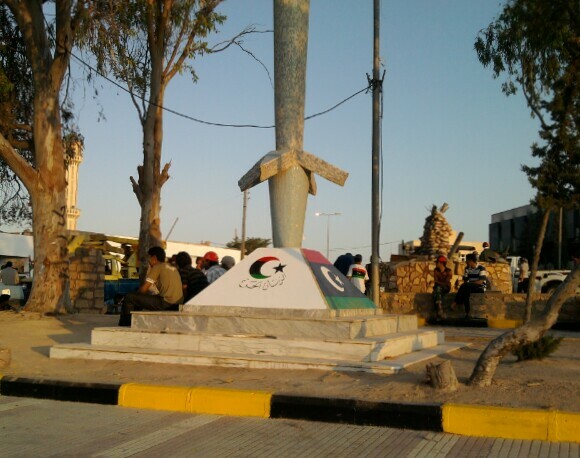 Center of town. Painting on the new curb striping is still wet. 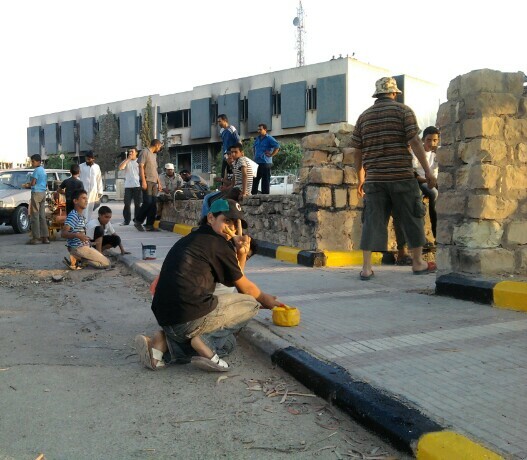 Volunteers painting the curb center of town. That new paint gives us all new life. 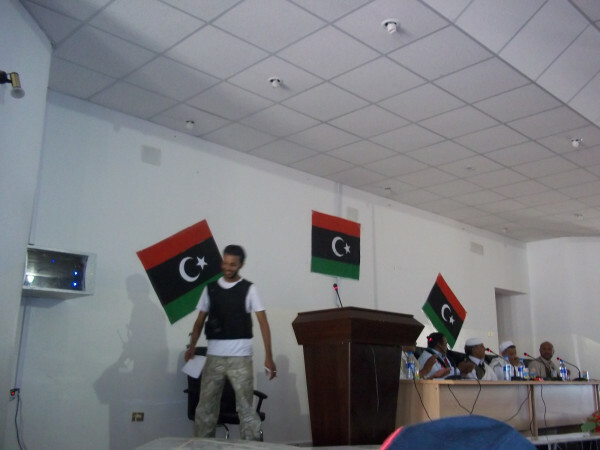 A meeting of Zintan elders with Ibrahim Madani finishing his welcoming remarks to defected Libyan national football team. 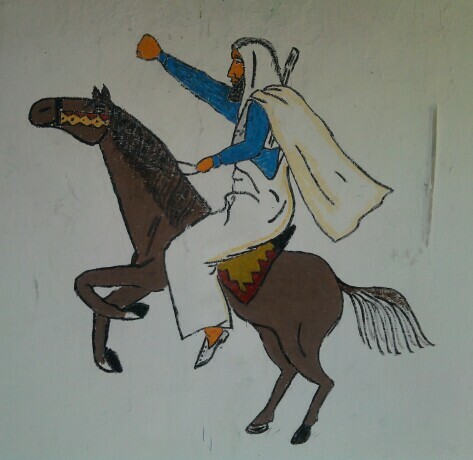 Omar Muktar is a more well-known Libyan hero from a century ago. But he wasn't the only one. 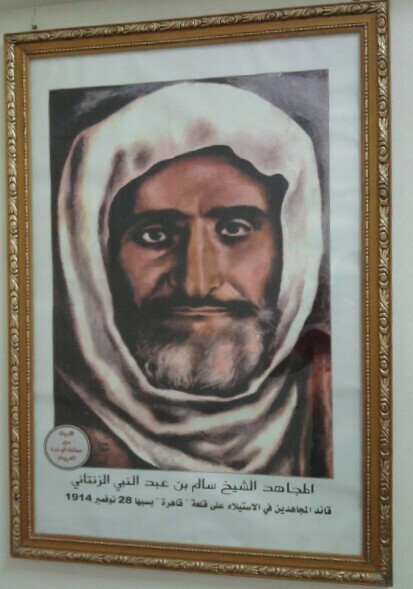 This is Salem Bin Abdul Nabie of Zintan. 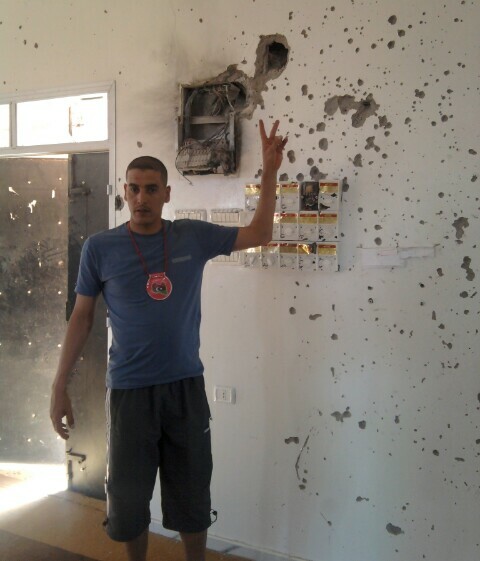 National Libyan football soccer goalie Juma Gtat next to some Gaddafi damage inside Jamaa El Shuhada (mosque). 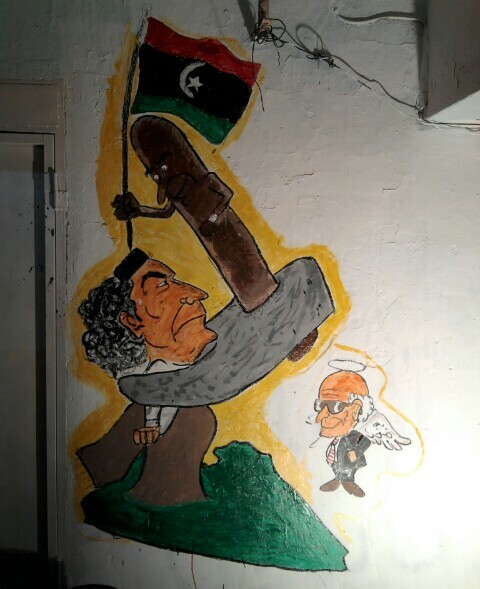 "Gaddafi, your solid green panoramas are fast disappearing here." Paint still wet. This says it all. "Thanks for anyone support us." 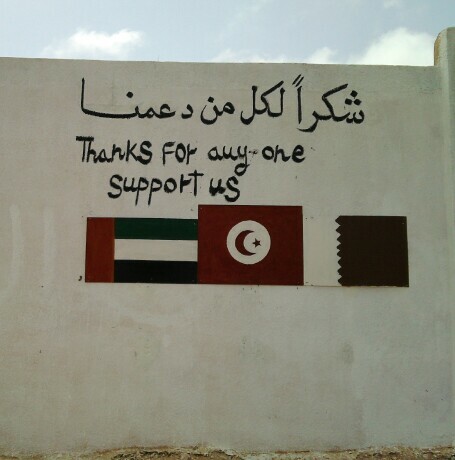 Flags of UAE, Tunisia & Qatar. 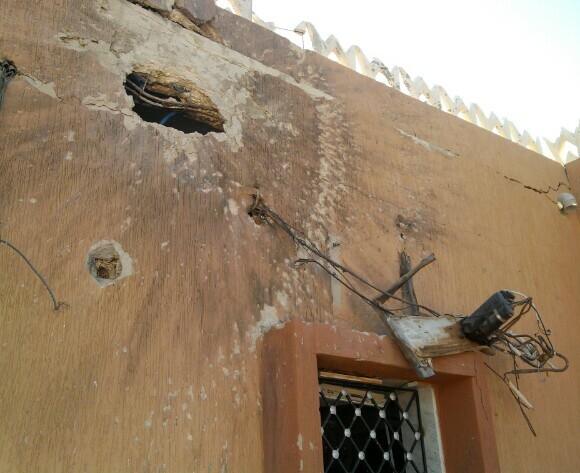 So we hope you can help us as much as desire to break with the plight of this person or even telephone conversation, and raise the spirit of the note that his morale was high recommend to his brothers that he return to lead a tank in the course of first aid, and that by the grace of God.